And now I'm all curious as to how we consistently interpreted things inversédly throughout this film. (Well, not everything, all of the racism is totally there and the movie is still some degree of sexist.) I didn't get a strong sense of any kind of Susan's character from this movie (the pop-up dwarf was especially gratuitous Faux Action Girling) but she never seemed like a 'temptress' to me - she seemed very much like she was the only one who pointed out facts very often, and she was trying to protect people but she wasn't always great at it - for that matter, none of the children are particularly great at anything; Peter is a case study in ruining all of the things. You say that she draws a false equivalency between the imminent battle in Narnia and the war in Britain, but is it actually false? I thought she had kind of a good point: they've been carefully couriered away from one front and now they're risking their lives for no clear reason in a completely different war. And as noted, she has a running trend of not letting people have an Omniscient Morality License: telling off Santa for arming them for combat, her glare at Aslan for the wolf fight, et cetera. Susan doesn't get a lot of personality, but at the same time she seems like the most realistic of the four - she's fallen into a magical world where everyone thinks that doing whatever the giant lion says is a great plan and nothing can go wrong having a teenage schoolboy as your top general, and she's got a running loop in her head of Spike (from Buffy) asking "Is everyone but me very stoned?" In the case of Peter and Edmund, I thought that they actually played the whole abrasive-yet-loving-brothers thing pretty well, although I might credit the actors more than the writing in that case. the Witch shows up and tells Tumnus that Edmund "turned you in for sweeties" which is a complete lie because Edmund mentioned Tumnus well before food was brought out, but the movie seems to think it's true. I am not sure how we determine what the movie thinks, but I read this as the Witch cheerfully editing history (i.e., lying) and Edmund feeling too guilty to defend himself, because "I did not; I turned him in for free out of pure ignorance" is a difficult protest to rally with. I *do* think that Sensible Susan is essentially what I would be in Magic Fantasy Land because, yes, if we go with an interpretation of her as Genre Savvy then the "are you all stoned??" questioning makes sense. But I don't think it's supposed to be that kind of story, I don't think it presents itself as that kind of story, I don't think the writers were going for that, and I do think that when you remove Genre Savvyiness from the equation then you get "counsels for the side of evil" Susan telling Peter to put down his sword despite being menaced by a great giant wolf. Which is all kinds of a bad idea. 2. If Susan is supposed to be Sensible Susan in the movie, why strip away all her sensible lines -- like the coats and why they can keep them -- and give them to High King Peter? This sticks in my craw as a major red flag that Susan is actually being deliberately changed from Sensible to something else. And I don't like the Something Else options that seem to be on the table. It took me about three viewings before I realized that the witch's sunny headpiece was in fact Aslan's mane, which she cut off him at the sacrifice. The dilemma of evil fashion-- wear awesome trophy or keep to your signature color? I'm not totally sure what I think about the coats line (their justification is cleverish, though irritating in that 'obfuscating innocence' way) but I would agree that they've definitely cut aspects of book-Susan that would have been positive, which doesn't make a lot of sense if they're then going to go and invent other things that are also good but not from the source. I liked this - in a way, I thought it was emblematic of her adaptation, in a sort of "You thawed my eternal winter? @#$% you, I'll be the Golden Witch of Summer instead! And I'll wear your god's hair as an accessory!" But then, I like Jadis in this movie entirely too much, to the point where I was watching one of her Evil Pagan scenes and reflecting on the rarity of letting paganish things and evil monster be associated with a protagon- no, wait, she's not the protagonist, she's an evil horrible person, I just entirely love watching her. here after reading the Last Battle, I didn't think anyone could make it worse. So what do they do, but prove me wrong! I haven't actually seen the US movie versions of Dawn Treader or Prince Caspian, partially due to my lukewarm response to LWW. This version of Aslan, I think, goes entirely the other way from the BBC version. This one is all 'trolol we didn't tell Jadis about teh Super Sekrit Clause and I wasn't scared ever!' instead of thinking about things. He just sort of comes in, pushes everyone around and then bugs out, which makes "why the heck didn't he just do that EARLIER especially if they could magically herd children into wardrobes in Not!Narnia" a very good question indeed. I think US!Aslan has a lot to do with TurboJesus and not a lot to do with lions, wild, tame, or Judah. I'm with Will on the characterisations. My first impression is that your reading of the film was overly harsh, but I'll keep it in mind the next time I see it. :) It was an interesting read anyway, as usual. Unless I'm remembering totally wrong, I don't think Aslan's army was all-white. I seem to recall some black centaurs (or were those all in Prince Caspian?) 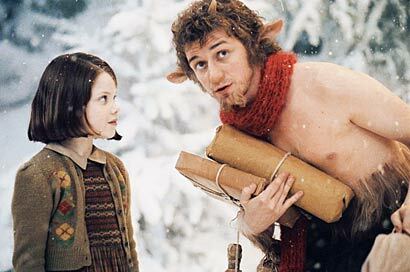 and, more definitely, many of the fauns and red dwarves were Indian-looking. No clever comments from me. I haven't actually seen the US movie versions of Dawn Treader or Prince Caspian, partially due to my lukewarm response to LWW. I haven't seen American!PC, due to disinterest, but we did watch American!DT and... oy. Husband hasn't read the books and he finally asked me very politely to stop pausing the movie and explaining how the book is different because the movie was beginning to resemble a powerpoint presentation. The "Jadis tempting Edmund with massive sexual overtones" stuff throughout the movie is just bizarre. If they really wanted to work the character in -- and the actress is awesome, I agree -- there were a billion ways to go OTHER than Femme Fatale. Philip means horse lover/friend of horses. On the one hand, as a Horse you'd expect that he is friends with a lot of Horses, so in that sense the name makes sense, on the other hand, wouldn't that go for all Horses? And horses too for that matter? One of the things that I remember liking about the movie is that when Philip slows down because he's not as young as he used to be, Edmund takes the blame for slowing down the group so that Philip doesn't need to. It seemed a nice touch. I thought I'd have more to add, but I don't seem to. It was a nice touch, I agree. I liked all the scenes with Philip. I kind of wish the whole movie had been done from Philip's point of view. I'll bet he would have liked Susan. I remember being mostly underwhelmed by this movie, but there was one minor detail that really stuck in my mind at the end. At the coronation scene we got a glimpse of the formerly petrified Fox, along with (I think) some other creatures who had been turned to stone in the woods earlier, all alive and well. If you thought this movie made a lot of changes, I'd be interested to hear your take on the other ones when and if you watch them. :) While TLTWTW is, when all is said and done, at least superficially a very faithful retelling, the other two take huge liberties with the storylines of the books. At least in the PC movie I think this generally improves the story and makes it much more interesting. I was less impressed by the DT one. Sorry about that: I misread one of the previous comments. Ana: give the PC a chance. If not else, it's quite a different story than the book and IMO a better one. Oh, we'll definitely be doing it after the PC book decon, just like this one. :D I just haven't seen it *yet*. And back to the battle where a flying gryphon is stoned, crashes, and shatters on contact with the ground. ENJOY EXPLAINING THAT ONE TO LITTLE SUZY, PARENTS! I am now imagining one or all of the children spending the initial years of their regency reassembling the gryphon with superglue. American!PC will make you go "oy" too, Ana. Caspian is just about opposite to his BBC incarnation, which made him all wrong to me who saw the BBC version at age 9. Also, he and Susan make mild but unnecessary smoochyfaces at each other. 9_9 But the creatures were wonderful. That's all you need to know about it. And I am now imagining Phillip the Horse offered to be the king's mount so he could go down in Horse history, and get famous enough to turn all the mares' heads. His descendants still tell stories about him. I'd guess that someone did a lookup on names with horse-related meanings, and went with Philip even though it was inappropriate because it fit the sound they wanted best. ... although possibly that's just because that's how *I* would wind up naming a horse something that means "horse lover," if I ever did. Americanized!PC will make you facepalm in places, but it does acknowledge some problems Lewis ignores - the Pevensies having issues with being kids again, and the native Narnians asking "wait, why should we put this Telmarine kid in charge, exactly?" It's also possible that most Narnian horses are fundamentally solitary mishippopes who socialize principally with dwarves and gryphons and find love only in the rarest circumstances with others of their kind. In this context, if Philip's parents had actually found a loving relationship in the midst of that awful winter, the name for their child could be aspirational; but in the end, Philip just wound up building his social life around what can only be construed as a rather large dwarf after all. On this adaptation's plus side, a truly lovely score. The soundtrack holds together quite nicely, and it works when it's put against the movie, which always pleases me. Watching this (which I hadn't until reading this post), I get the feeling that there's a lot more backstories (future stories? sidestories?) to these characters than I got out of the actual books. Book!Pevensies feel very scripted to me, which is partly the language, but I think greatly because they act like children as written by someone who learned about children reading other childrens' books. Whereas the little side-glances and rolled eyes and whatnot in this version made them feel less like Wide Eyed Innocents Who Will Grow Up To Be Archetypes. On the other hand... Jadis was actually far creepier here, to my mind. She looks like she's one good punch away from disintegrating into light, whereas I'd always pictured her as a lot stronger and better fed, with much more sensuous features and a lot of black eyeliner. I was an odd child. In a world with centaurs, and potentially hippogriffs, unicorns, pegasus, hippocampi, and goodness knows what else, a Horse-Horse couple could certainly be unusual. It's also possible that the name is, in-universe, a funny coincidence that Phillip may or may not have ever learned about. But where's the fun in that? Hm. I think I tend to be overly forgiving of this movie simply because the US!PC movie fills me with hate and this is *comparatively* faithful. > But where's the fun in that? Well, in theory, there could be the fun of being part of the Plummer Onomastic Security Squad, or, redundantly, the POSS squad, a covert organization maintaining onomastic and toponymic secrecy through the Age of Conquest, the Golden Age, and the Narnian Age of Winter. It's all high tea on the high seas, transforming devices that are most certainly probably not magic, and daring etymological adventure right under the nose of the White Witch! Sail the dictionary zeppelins and the lexical submarines, explore the woods of the wordwright, and plunge* into the hidden semantic structure of the Deep Magic---all while dressed to the nines in the marvelous coats and formalwear that Q** just leaves lying around in the forest for the agents of the POSS squad! Philip may be catching on. He may be teetering on the brink of knowing the truth of his name. You're on the POSS squad now. LOL. I think "not a TAME..." needs to be a meme now. And this is as good a time as any to mention that next week is the first chapter of PC and additionally is a Susan post. ALL POSTS ARE SUSAN POSTS. I don't get what Genre Savvy has to do with it. If she's the sensible one (I said "if," I haven't seen the movie myself, and am unlikely to) as Will suggested, it's in an entirely story-internal way. I have to say, though, I don't think "they took away that horrible, ridiculous excuse about The Coats Will Still Be In The Wardrobe from her" is the best argument for her being stupider in the movie than in the book. Her wanting to leave Tumnus to his fate is bad, her wanting Peter to accept Maugrim's offer is bad, her not engaging in transparent sophistry is good (in the sense that it makes her a smarter or more honest person, not in the sense that it's necessarily better for the story). It's not just that they took away the reasoning, sophistry or not. They took away the very suggestion that they use the coats at all, which is a pretty much the only survival strategy available to them at that point in time. So instead of Susan being directly responsible for the children not freezing to death over the majority of the novel, Peter is. I don't get what Genre Savvy has to do with it. I missed this earlier, but yes, I'm actually suggesting that Susan is, quite rationally, not at all genre savvy here. The other kids 'realise' that since they're in a fantasy world and there's a wonderful god-lion there, they obviously should do whatever the lion says because happy endings lie that way. It's all the more explicit in the book, where Peter shot down Edmund's perfectly reasonable concern that they were walking into a trap by asserting that robins are "good birds in all the stories I've ever read." Where Peter and Lucy (and varying Edmund) are very much savvy, Susan is the one who tries to treat Narnia like 'real life' instead of a fantasy world. Under less forgiving circumstances, this would make her the first one to be eaten by zombies. I can't help thinking that, if she had been the first one to run into the Witch, she'd have immediately returned to Earth and attempted to inform the police that a stranger had attempted to coerce her into their vehicle. Obviously this wouldn't be an effective course of action, but that's only because reality itself is cheating. I called hypothetical Susan "genre savvy" because I see her as recognizing that because she's the girl, she's going to get the short stick in this campaign. As the girl, she exists to be "the mother" (the coats, the cooking), absorb menace (being treed by wolves), observe pain (Aslan's passion), and get crappy non-gifts from Father Christmas. All that and she won't be knighted (that's reserved for the boys) and when it comes time to metaphorically damn someone, she's the shoo-in since she has no other "story purpose" at that point. So my Genre Savvy Susan wants to leave because, really, this story is clearly not meant for her. I can see what you mean, however. And I don't know if we're saying similar things with different words or not. Ana, have you ever seen Eddie Izzard's Dress to Kill? Your comments on American films vs. British ones reminded me of his spiel on the same topic, which you can see here [Content Note: Profanity, Disregard for consent played for comedy]. On another note, your comment on Jadis' role as a temptress in Dawn Treader made me wonder: do the scenes (or the film in general) acknowledge that Edmund has, at this point, gone through puberty once? Not that this would make the scene necessarily any better or worse, but I am curious, since it changes the way I see the scenes in my mind. Heh. Is that the "Room with a View... OF HELL!" act? Staircase of SATAN! Pond of DEATH! I should watch that some time, I have it on DVD. I don't think we're saying similar things, but I can see your point as well - apropos to the latest Slacktiverse thread, this is one of those times where trying to reference concepts with shorthand names muddles rather than streamlines the issue. We're both talking about Susan's reaction to (and rejection of) her own narrative, but in one case because she rejects the idea of reality following a narrative and in one case because she accepts it but doesn't want any part of this particular narrative because it's hostile to her. And yes, if I twigged to my current reality having it in for me because I was insufficiently credulous, I'd probably want to get right out of there too. And now I'm wondering how many hypothetical Susans can dance on the head of a pin. Rational Susan and Genre Savvy Susan and there must be more. POSS squad? Come now. You simply can't have an acronym like that and not be the POSSe. I read Susan in a more favorable light, but that's partly because her characterization here and especially in the film of Prince Caspian harmonizes well with the Susan story I may write someday, which explains why she came to be a disbeliever, etc. As for PC: I'm in the camp that gives the film a big thumbs-up, because of the improvements it makes over the source. Let's face it; the book is a structural train wreck, in which nothing much really happens for most of its duration (except somebody telling a story about things that have already happened), and then the children win with very little effort at all. The movie brings in psychological realism for the children, with them reacting in their various ways to having grown up and then been made kids again, and while I'm not entirely fond of some of the ways that manifests, it's better than the original. You simply can't have an acronym like that and not be the POSSe. The movie brings in psychological realism for the children, with them reacting in their various ways to having grown up and then been made kids again, and while I'm not entirely fond of some of the ways that manifests, it's better than the original. Are as beautiful as a song day, I use the cheap beats by dr dre headphones wholesale rhythm, lead me into the stereo concert. Do you think I was a monster beats pro headphones fan? Yes.In fact, I enjoy my life, because I have monster lady gaga headphones. You say that she draws a false equivalency between the imminent battle in Narnia and the war in Britain, but is it actually false? I thought she had kind of a good point: they've been carefully couriered away from one front and now they're risking their lives for no clear reason in a completely different war. This. If I were a mother and tried to protect my children from a bombing raid, I would NOT be reassured to find out they're in a fantasy war campaign instead. In fact if someone later tried to tell me "but you were talking about the bombing raid, who could guess that a fantasy campaign would upset you too ? Don't draw false equivalencies !"... I would not be appreciative. Well, OF COURSE the point is that they stumble into another war while trying to escape from the first one. Lewis was making a clear point here about how you cannot ultimately escape being in tough situation. However, there is a big difference here. In England, they are powerless bystanders. They are too young to fight as soldiers, and they can do literally nothing agains the Blitz. So they really have no choice but to run away (in this case, from London). But in Narnia the case is different. 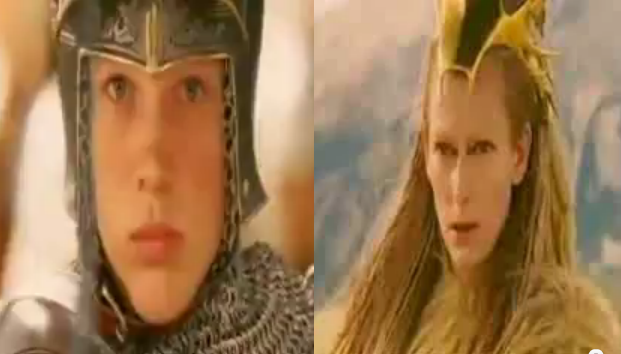 They are IMPORTANT here, if only by virtue of being in the prophecy and thus able to rally Narnians into battle. Them fighting, OR running away makes huge difference here. Yes, ithey may have no actual stake in the conflict, but they have importance - they can make a difference here, rather than in England. The point is not "what can I gain?" but "does my help matter?" - if yes, running at the cost of suffering of others is irresponsible,, regardless of danger. Ice-breakers don't run away from ice. And therefore Susan's attempt to go back is so bad - it is logical, but in this circumstances it would mean more suffering for others, and therefore wrong. Though Susan doesn't know that, an of course HER role will be that of a helpless victim as well, whereas even Lucy will help by healing, not to mention Peter and Edmund.